Seasonal ponds that fill up during the winter and dry in the summer provide a unique habitat, which is endangered by human activity. Can they be saved and can the unique wildlife inhabiting them be preserved? Every winter, temporary ponds form quietly throughout the country. The first drop of rain that creates them sets off a race against time. The inhabitants of the pool have to complete a life cycle, in whole or in part, before it dries out. Within a short period, a variety of unique animals and other organisms will develop, some of which cannot be found anywhere else. These include a crab that breathes through its 11 pairs of feet and swims on its back, a swimming beetle that carries an air bubble which enables it to breathe underwater, and the eastern spadefoot – an increasingly rare amphibian that exits its summer burrow to return to the winter pond where it grew up in and to which it will remain forever faithful. All organisms, especially animals and plants, have evolved by adapting to their habitat, so that they can survive and reproduce within it. White polar bears are well-adapted to a cold and icy habitat, where they can find food, shelter, and mating partners. They will not survive in the habitats of their close relatives – the brown bears, which had, until the previous century, resided even here, in the Land of Israel. The physical and biological conditions in each habitat dictate what types of species will evolve and survive in it. Conditions such as temperature, humidity, and soil type affect the entire ecosystem: the plant and microbial populations, herbivores, carnivores, and omnivores are all shaped by their environment and, in turn, have their own impact on it. In Israel, this is very apparent; the species residing in the Negev desert are different from those of the shoreline. The inhabitants of the coral reef in Eilat are different from those of the Mediterranean, and many of the plants on Mount Hermon cannot be found anywhere else in the country. Israel has been blessed with an especially rich variety of species thanks to its geographical location – an intersection between climates and continents spanning a relatively small area. This is why species from many areas can be found here, along with numerous endemic species, i.e., species that are distributed only across a limited area. The winter pond’s seasonal existence is a major hurdle for anyone who wishes to live in it. But in the middle of difficulty, lies opportunity. Fish are excellent swimmers, dominating many bodies of water – constantly preying and eating. But they cannot survive in empty winter ponds. Their absence in winter ponds allows a variety of crabs, water insects, and amphibians to prosper in the transient pond. These have evolved a number of biological adaptations for coping with the seasonal drying, as well as with the extreme changes in pond properties arising from its limited size, such as water temperature and oxygen concentration. Different species require different conditions, and thus, the pond's population changes as it fills up during the cold months of winter and until it dries up for the hot summer. Winter ponds are only found in areas with a Mediterranean climate, which is characterized by a wet winter and a dry summer, and only in places where rain water can be retained at a sufficient amount. 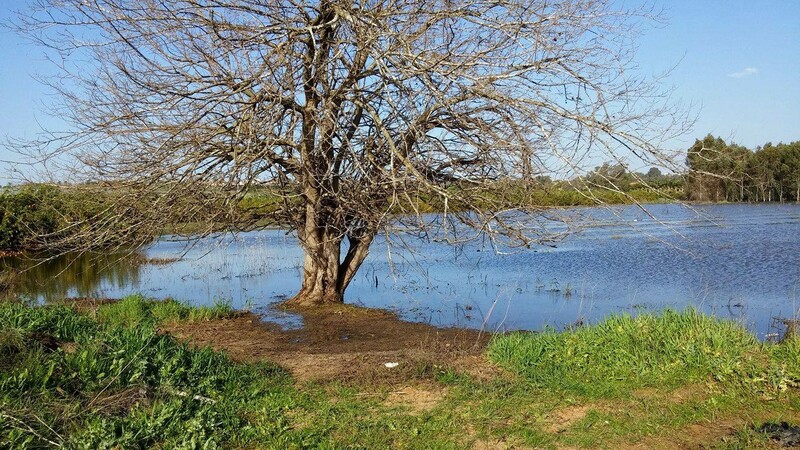 Nowadays, winter ponds can be found in a number of regions throughout Israel, including the Golan Heights, the Upper Galilee, Samaria, and the Coastal Plain. These ponds are just a faint remainder, in terms of numbers and total area, of the region’s ponds until the previous century. The winter ponds, along with the rare plants and animals inhabiting them, have disappeared mainly due to human activity – urbanization, deliberate dehydration, and agriculture. Throughout the year, we will publish a series of articles that get up-close-and-personal with Rehovot's winter pond, located not far from the Davidson Institute of Science. 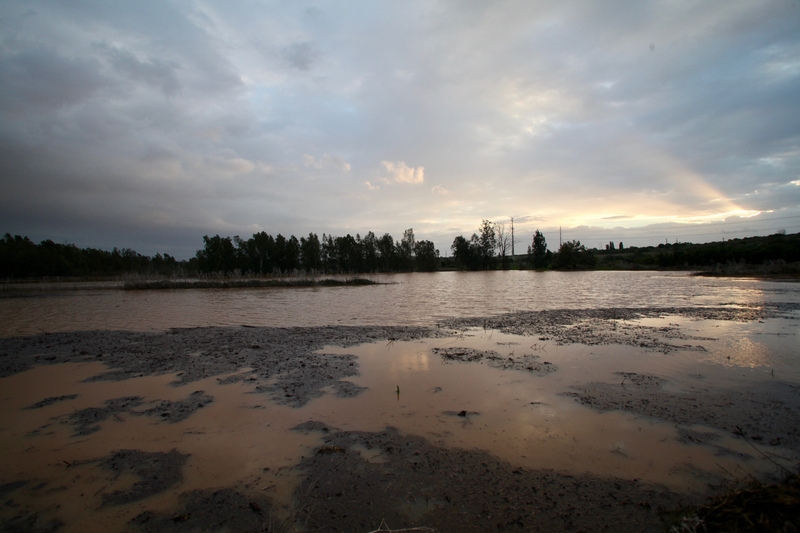 The Rehovot pond is in the process of being declared a nature reserve, but its drainage basin is still in danger, and without sufficient volumes of water with the appropriate quality drained into it, it will disappear. Through Rehovot's pond, we will get to know the secluded world of winter ponds and their natural environment on the coastal plain, and attempt to observe how recent disturbances occurring in recent years affect the fauna and flora of this unique environment.